Hi there! 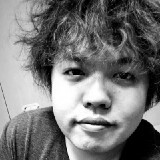 My name is Masaki @QueerESL and I’m a queer writer and video creator in Japan who creates stuff mostly about/against heteropatriarchy. My preferred gender pronouns are he, him, they, and them. I’m also into drawing, music production, and photography.